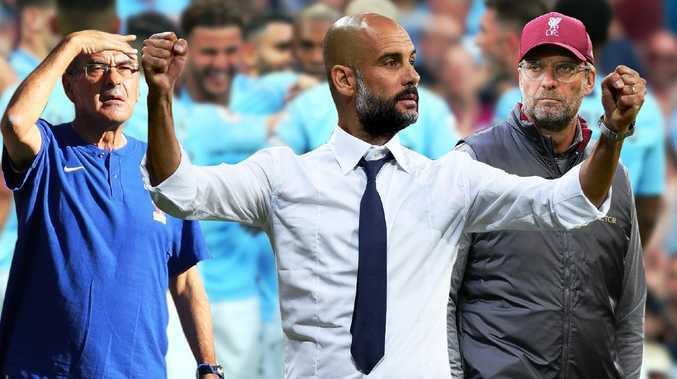 That's the question no doubt circulating around worried dressing rooms as Manchester City continue to set a rampant pace atop the Premier League ladder. Their latest victims, Southampton, were powerless as the reigning champions romped to a 6-1 win at the Etihad - the latest statement outing from a team who somehow only lead the competition by two measly points. Chelsea grabbed three points of their own as they joined City and Liverpool unbeaten after 11 matches. But for a more realistic image of the gap between the leaders and their chasers, one needs only to shift their gaze to the goal difference column. It reads: Reds 16, Blues 19, City - a whopping 29. At this point last season, Pep Guardiola's side boasted an ever larger 31. They also led the league by eight points. Essentially, this anomalous start to the season, in which their rivals are somehow keeping pace in a bizarre 40-year first, is creating a façade of a close title race. But in reality, there appears one frontrunner for the title … and they're wearing sky blue. 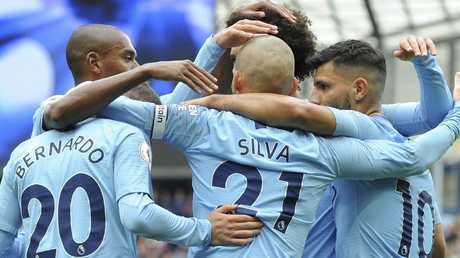 "I just can't see how you're going to stop City," former Premier League striker Ian Wright said after the five-goal demolition. "Yes everyone says Liverpool are like their kryptonite, but the fact is, even if Liverpool beat them, they're not going to lose many games." Throughout last season, City lost just two games, and in their hunt for back-to-back glory, it appears they're even tougher to break down. 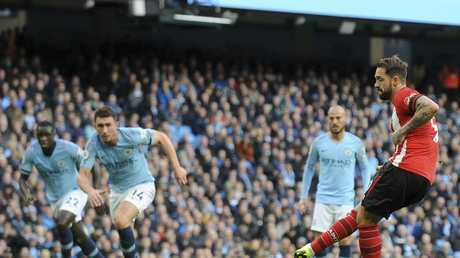 Interestingly, amid the attacking carnage as Raheem Sterling became the Saints' chief tormentor with two goals and two assists, City actually hit a 10-hour low. Yep. Just one. But for this City team, that's a collector's item at this early point of the season. Danny Ings snared a consolation strike from the penalty spot - the first the champs have let in domestically since a 2-1 win over Newcastle on September 2nd. With such a dynamic and star-studded attack racking up scores at one end of the park, teams are often fixated with trying to blunt the likes of Sterling, Sergio Aguero and co. But Wright believes trying to contain this team is a fool's errand. "We said it before, everything was pointing to a comfortable City win and you can't really hang Southampton out too much. I'm sure they probably worked very very hard on trying to contain them, but I don't think you actually can contain Manchester City," he said. "Because no matter what you do and how you press them, they will still continue to try and play the way they do and they've got so many good players. You're needing so many players to have an off day and it just don't happen." 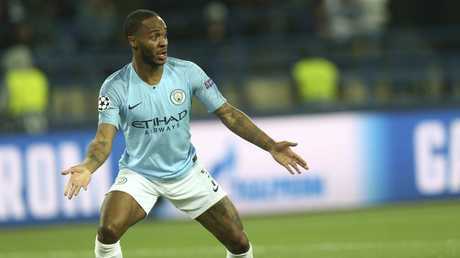 Raheem Sterling added another two goals to his tally. "In my era we had very physical teams that might have on a horrible day in November or December, on a boggy pitch, on a surface that wasn't quite so great, you might have been able to intimidate a very good team," Townsend said. "Yet you can see the surface is now is so good, the players aren't like that anymore, the game has moved on completely as it should. How on earth do you go about stopping that team? What on earth do you do? Do you try and just stay very solid and sit? "They've been facing that for the last three years haven't they? … they know how they can get around that. And then if you press them the other way, you've got your back four on the halfway line you live in fear that Sane or Sterling are going to penetrate that and they're straight through you. It's almost impossible." There are a number of teams who would likely agree. City average three goals per game in the Premier League this season as they continue to set the pace in the goal scoring department. While Ings' spot kick saw him become the first non-defender to find the net against them… and just the fourth occasion their net has bulged this season. Next up is a mouth-watering derby clash with Manchester United at home. And considering the form of their neighbours this season, Guardiola and his goal-hungry strike force may be eyeing another big score.